20050731 v2.31beta 太棒了! 卡片上的程式圖示也可以顯示. 又新加另一組設定, 可設在另一個 hard button 上. From PIL, by 阿輝, 值得注意! Pocket PC, 做得那麼堅固, 真是怪, 軍用嗎? Tapwave 不玩 palm 了~~ 唉, 又一家! from PIL, by 小螞蟻: 把 Dopod 耳塞式耳機用在 Treo650 上, 效果不錯! * Fixed: HTML parsing regression bug that had been present in 0.42a and 0.42b. * Fixed: On Windows XP, the tab controls are now drawn using the proper background gradient. PPC 將改用 flash memory, 看來也是大勢所趨, 不過文中提到的"耗電"比喻, 真是看不太懂哩! # 07/19/2005 - Spanish version released. # 07/14/2005 - Restore form corrected. From PIL, by 阿輝, 新的 Palm 圖示, 連結進去會先看到 splash 畫面, 蠻醒目的. 有 M68 的新消息了! 德國人寫的評介, 英國上市價 499 EUR (約 20000 台幣), 沒買 Treo650 的人可以考慮這台! 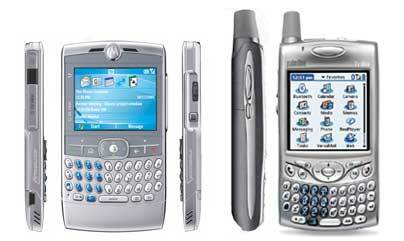 # 07/12/2005 - Tungsten T5, Treo 650 and Lifedrive support. 據說是全世界最小的 PPC phone, 在澳洲上市, 觀賞一下! From PIL, by 小螞蟻, 才 39 元, 看來不錯! Handango 的服務, 應該推出一段時間了, 在 Treo600/650 上直接瀏覽下載軟體, 看起來蠻有趣! 我說: 即使有個萬一, 也別當作世界末日... 有時候, 能忘記也是件好事! Pocketfactory: PalmOS Is Dead; What Happens Next? 每次看這種文章都覺得有點道理, 對 end user 而言, 覺得好用就用, 好玩就玩. 但好用好玩的東西不見得都活得久, 如果以後沒 Palm 可出, 我還是會買 PDA, 只是覺得可惜啊! Firefox/Mozilla 的 extention, 我常在網路上剪貼資料, 再一次傳到 PDA 上看, 用這個工具就很便利. mark -> quicknote, mark -> quicknote... 文字就自動串成文章了! PalmSource 和 LG 簽約, 這樣應當更能打開 PDA 手機市場, 雖然我不是很欣賞韓國貨, 但相信選擇會比現在 (Treo) 更多, 對消費者來說也算是件好事. 新軟體, 定時鬧鈴, 和 Pester 比較起來不知如何? - Added the ability to add a note to a fuel purchase. - Added support for the T5, Treo600, Treo650 and Zodiac rockers. - Added support for the DIA on Sony Clie devices. - Added prev/next arrows to the Edit form to allow for browsing the records. - Added a 4 colour icon. - Improved the look of the backspace button on the Edit Fuel form. - Improved the Export dialog to provide two lines for the filepath. - Fixed the quantity field not being automatically calculated. - Fixed a potential crash when closing the DIA in portrait mode. - Fixed exporting to a CSV file when the number format uses comma separators. - Fixed card list on Export dialog being corrupted if the device is in low power mode. - Preferences dialog is now consistant with the built in PIM applications. # PalmDoc format supported (太殺手了! ), user can view/edit/save/convert palmdoc and plain text files.Read the readme.txt file for more detail tips about it plz. # "Count All" feature added. PalmSource 真的要把雞蛋全放在 linux 這個籃子?? 所以, Cobalt OS 機種出現可能遙遙無期... 看來 Pocket PC 的威脅真的很大啊! 進入職場後, 更是深刻體認到人脈的重要. 我的通訊錄已經超過 1000 筆, 如能好好利用, 也是很豐富的資源. twhsi 這篇分享, 提到如何活用自己的通訊錄, 達到更大效益, 對個人有很大啟示, 也值得大家參考! Too much to mention :-). Join the PolyNote@yahoogroups.com mailing list or browse it's mail archive for more details. 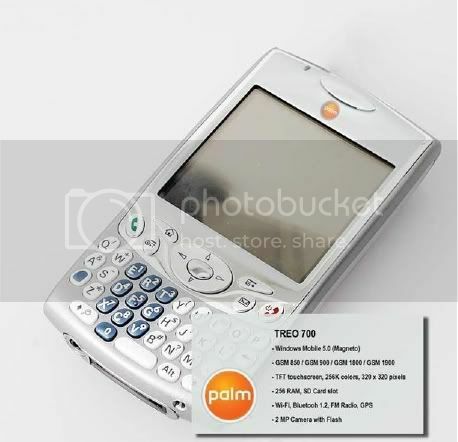 作者分享 Treo650 產品成功的因素... 對 user 來說不算新觀點, 倒是給觀望的人看看. A5 0.1L(2) posted; important fix! [交流] lifefeeds, mobile rss ? From PIL, by kieth, 線上讀 RSS 的新玩意兒, 可以試試. 我蠻喜歡這個, 現在在 Treo650 上就是用這軟體設定重複鬧鈴, 以前用 Datebook 時, 重複鬧鈴要更動都有些麻煩, 用這個輕鬆多了! 新的 jpg 處理軟體, shareware, 12 USD, 功能簡單. 那為何我還提呢? 因為 demo 畫面不錯. From PIL: ShowMap Navi3 版圖資更新, 發表日期尚未確定. 因為之前買 Treo650 有附一套 ShowMap, 所以我是蠻期待的啦!